Can Ceramides Replenish Your Skin's Moisture? Ceramides are a type of fat found naturally in the stratum corneum, the outermost layer of skin. Together with cholesterol and free fatty acids (the two other types of fats found naturally in your skin), ceramides help hold skin cells together. Ceramides are essential to the normal functioning of the skin's barrier layer and play a key role in helping your skin retain moisture. As ceramide levels decline with normal aging, the skin barrier can be disrupted, leading to redness, dryness, and skin irritation. When applied directly to the skin in lotions and other skincare products, ceramides are said to help restore the skin's barrier, aid in the treatment of skin conditions such as eczema and psoriasis, improve dry skin, and reduce the appearance of fine lines and other signs of aging. Here's a look at some key study findings on the use of ceramides for skin problems. Also known as atopic dermatitis, eczema is a condition that causes the skin to become irritated and inflamed. Research suggests that people with eczema may have low levels of ceramides in the top layer of their skin. Some studies show that the use of skincare products containing ceramides may improve eczema symptoms. In a 2016 study, for instance, researchers found that a cream containing ceramides and magnesium improved skin hydration and reduced the severity of skin lesions (dry, thickened, or scaly skin) in people with mild to moderate dermatitis, compared to a hydrocortisone cream and a commonly used emollient cold cream. Psoriasis has also been associated with low levels of ceramides in skin lesions (raised, red patches covered with scales), resulting in an impaired barrier function of the skin. A study published in Dermatologic Therapy in 2015 evaluated the effectiveness of a linoleic-acid-ceramide moisturizer in combination with a topical corticosteroid (compared to the topical corticosteroid alone) in people with psoriasis. 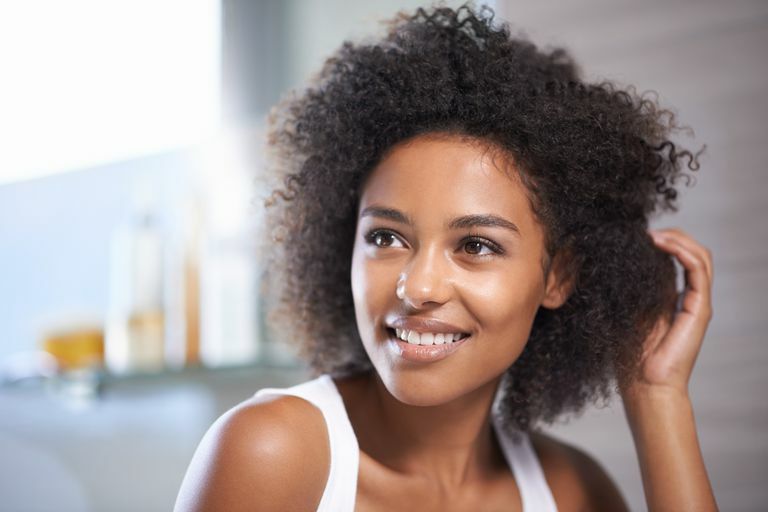 After an eight-week treatment period, the severity of symptoms were reduced in those using the linoleic-acid-ceramide moisturizer. Ceramides may help protect against aging-associated dry skin, according to a study published in the International Journal of Immunopathology and Pharmacology. In tests on 20 healthy women, the study's authors determined that applying a cream containing ceramides helped improve skin barrier function and increase resistance to the aging-related dry skin. Ceramides may help shield the skin from certain irritants, a study published in the International Journal of Dermatology suggests. In an experiment involving women with healthy skin, researchers found that applying a ceramide-containing liquid to the skin helped improve skin barrier function, increase skin hydration, and protect irritation induced by exposure to sodium lauryl sulfate, a synthetic chemical found in many personal-care products. Many skincare experts recommend choosing ceramide-containing products that also include cholesterol and free fatty acids in a certain ratio. Research suggests that there must be a balance of all three fats in order for a ceramide-containing product to be effective in healing the skin. Moisturizers, creams, lotions, cleansers, and skin care formulas containing ceramides are sold in many drugstores and stores carrying skincare products. Some ceramide creams and moisturizers are available by prescription. While ceramides are widely available in topical skin care products, we don't know enough about the safety of ceramide supplements taken by mouth. High blood levels of ceramides have been linked to numerous diseases, such as cardiovascular disease and diabetes. Dietary supplements containing plant sources of ceramides, such as konjac, are purported to improve skin barrier function and help treat certain skin conditions. However, there is currently a lack of research supporting the claim that ceramides can heal the skin when consumed in oral supplement form. You should read tips on using supplements, but until we know more, oral ceramide supplements should be avoided. Ceramides are available in a number of moisturizers and skincare products. While more research is needed on their healing effect in conditions like psoriasis, using a moisturizer with ceramides may help to hydrate dry skin and relieve itching associated with dry skin. If you have a skin condition, consult your dermatologist to see if topical ceramide products are a good fit for your skin type and for help choosing a product. In addition to topical ceramides, a number of natural products, such as neem oil and argan oil, may also protect against dry skin and promote healing of certain skin conditions. Di Marzio L, Cinque B, Cupelli F, De Simone C, Cifone MG, Giuliani M. Increase of skin-ceramide levels in aged subjects following a short-term topical application of bacterial sphingomyelinase from Streptococcus thermophilus. Int J Immunopathol Pharmacol. 2008 Jan-Mar;21(1):137-43. Huang HC, Chang TM. Ceramide 1 and ceramide 3 act synergistically on skin hydration and the transepidermal water loss of sodium lauryl sulfate-irritated skin. Int J Dermatol. 2008 Aug;47(8):812-9. Koppes SA, Charles F, Lammers L, et al. Efficacy of a Cream Containing Ceramides and Magnesium in the Treatment of Mild to Moderate Atopic Dermatitis: A Randomized, Double-blind, Emollient- and Hydrocortisone-controlled Trial. Acta Derm Venereol. 2016 Nov 2;96(7):948-953. Liu M, Li X, Chen XY, Xue F, Zheng J. Topical application of a linoleic acid-ceramide containing moisturizer exhibit therapeutic and preventive benefits for psoriasis vulgaris: a randomized controlled trial. Dermatol Ther. 2015 Nov-Dec;28(6):373-82.